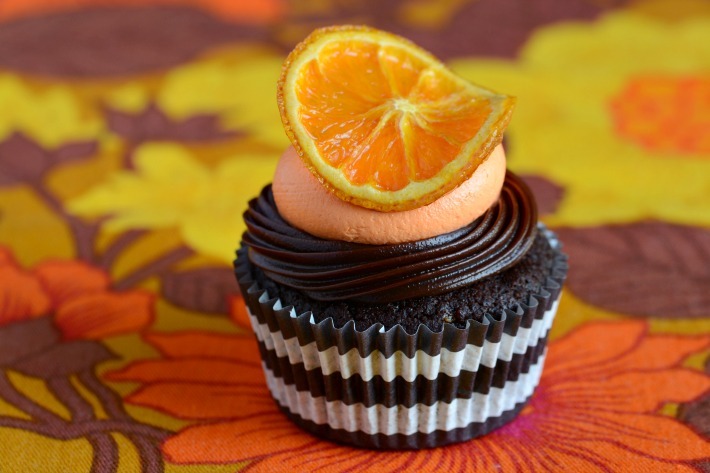 To celebrate the much anticipated arrival of autumn I am very excited to share with you my latest cupcake creation. 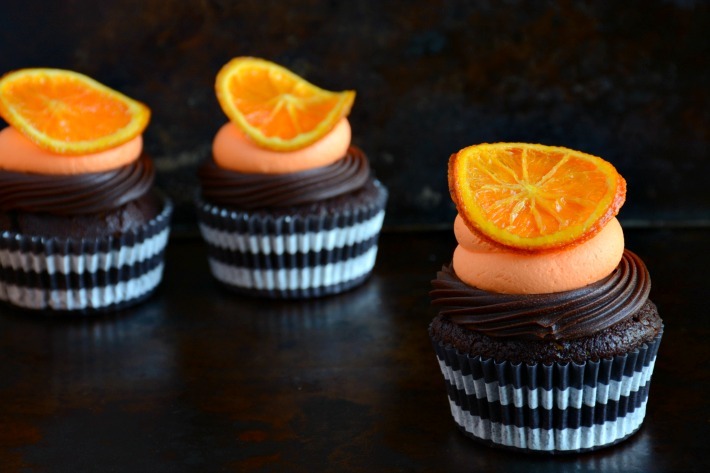 A moist chocolate cupcake infused with orange zest and Grand Marnier topped with a luscious swirl of rich ganache and a slightly tangy orange sherbet buttercream. 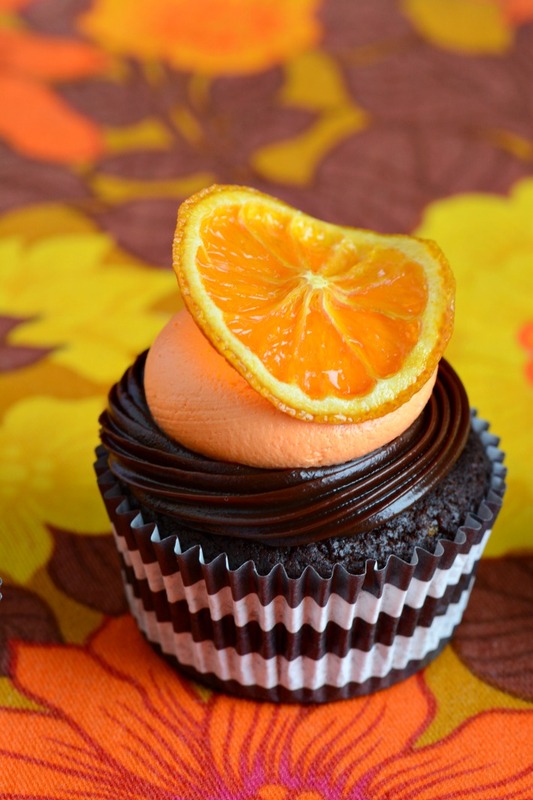 Add a slice of candied orange and you have the most delectable winter cupcake. Yum! 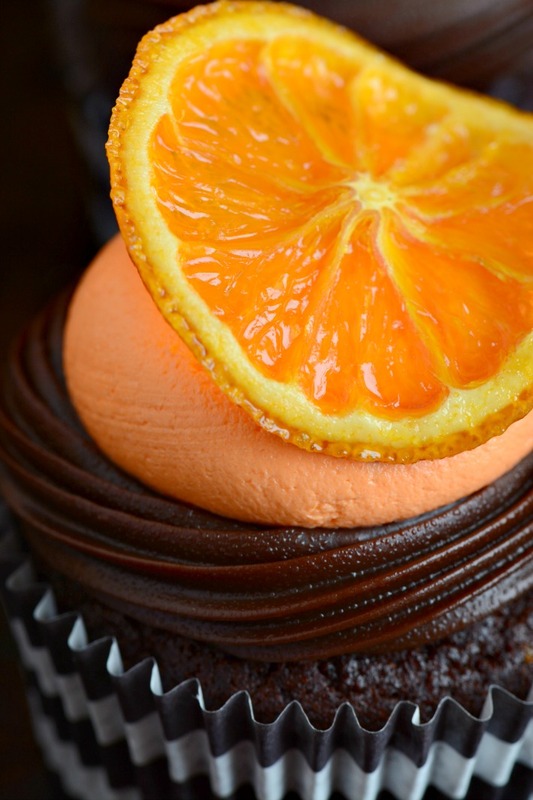 A deliciously moist chocolate cake with rich ganache and orange sherbet buttercream. Bake in a moderate oven for 18 - 20 minutes. Cool on wire rack. 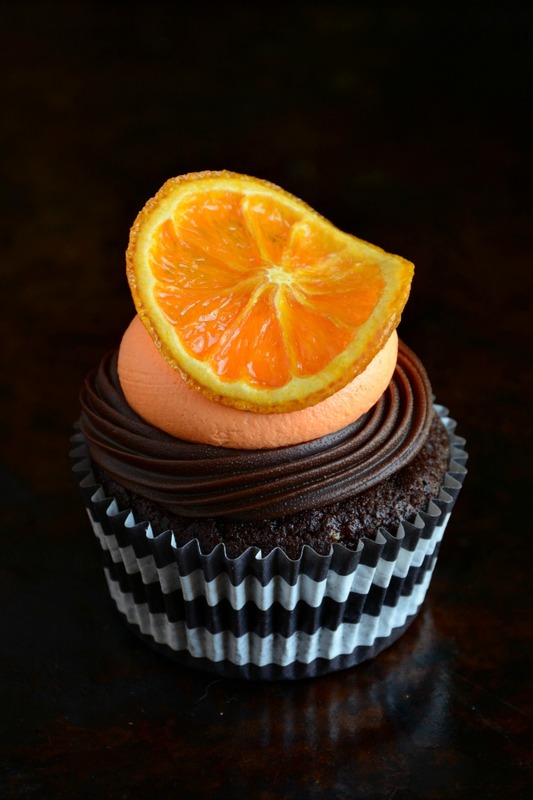 Frost with a swirl of chocolate ganache and orange buttercream. Using an electric mixer on medium speed with a paddle attachment, beat butter until light and creamy, about 3 minutes. Add cream cheese and beat for another 3 minutes until very creamy. 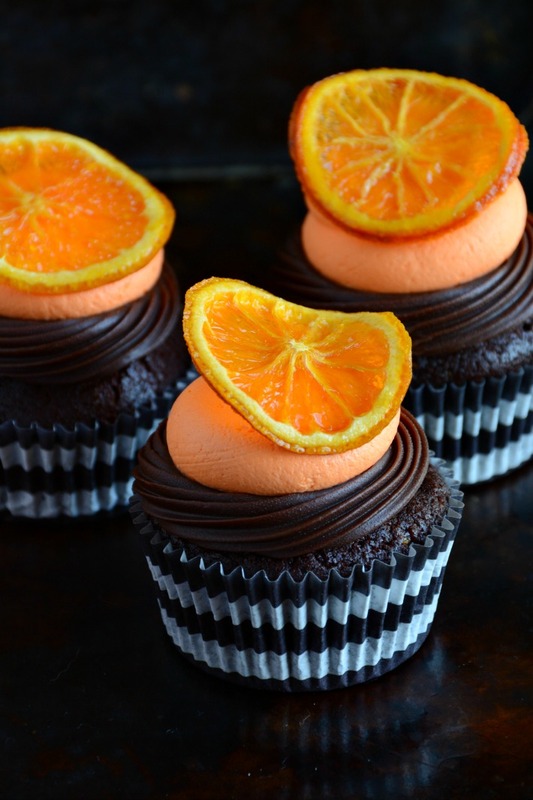 Add vanilla and orange extracts. Reduce mixer to low speed and slowly add icing sugar a little at a time. Add dashes of cream as mixture becomes stiff. 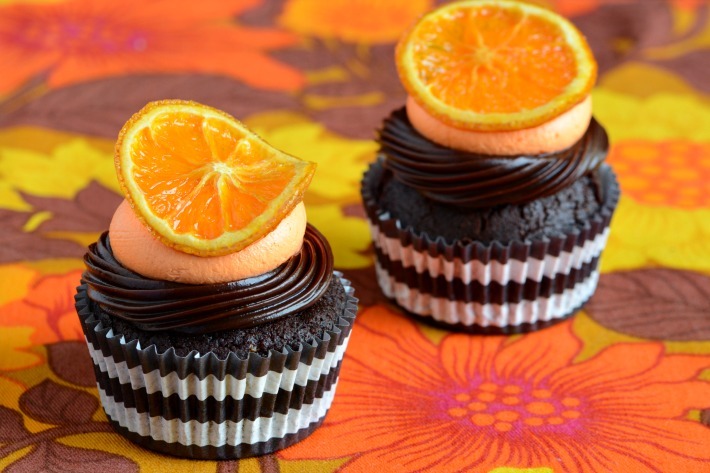 Continue until frosting reaches desired consistency. 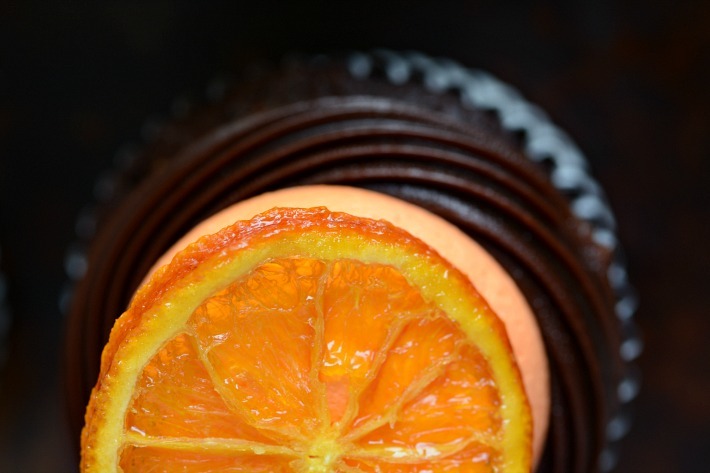 Add a few drops of orange gel colouring. Whip until smooth. Carefully pour cream over chocolate, leave about a minute and stir carefully with a spatula. 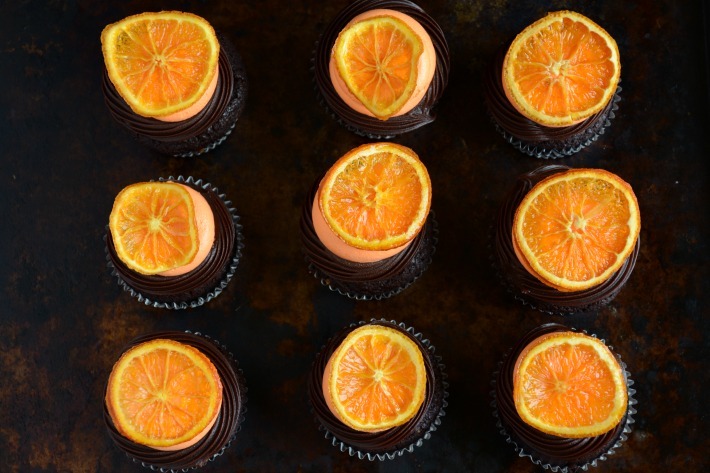 Mix until all chocolate has melted and ganache looks smooth. 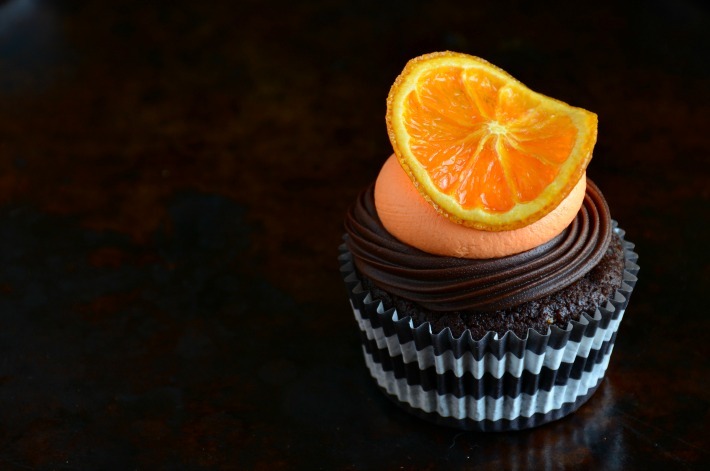 Let ganache sit at room temperature until thick enough to put into a piping bag with star nozzle.